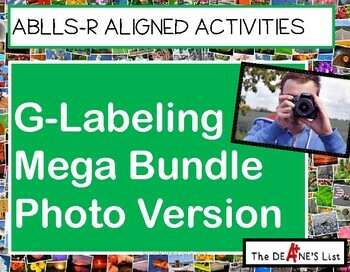 This 678 page bundle is packed with color photos addressing the G-Labeling domain of the ABLLS-R. 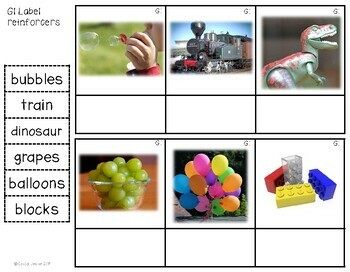 This photo version contains materials to help improve your students' labeling skills! Originally, this product was 133 pages and had activities for each objective but I developed it into a Mega-Bundle with multiple pages of activities to fully address each objective. Currently, this is still a growing bundle. There are several objectives I am still updating but they will be added very soon. 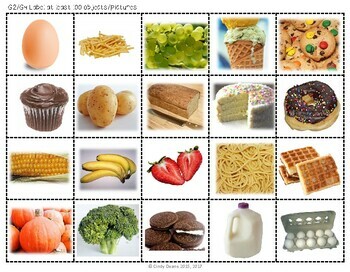 You can see the individual products featured in this bundle under the labeling section in my store. Not all labeling products are included but you can read in the product descriptions to see which ones are.